Bike lights are an essential piece of kit for anyone cycling. But do a search for “bike lights” and you’ll be returned hundreds of thousands of results. So how do you make sense of the different options available and when should you use different kinds of lights? “See” lights allow you to see where you are going in the dark. If your ride takes you out of the town or city on unlit or poorly lit roads, you’ll need a strong, bright front light just to be able to see where you are going. You’ll want to pick up any potholes or debris on the road ahead with plenty of time to be able to react. 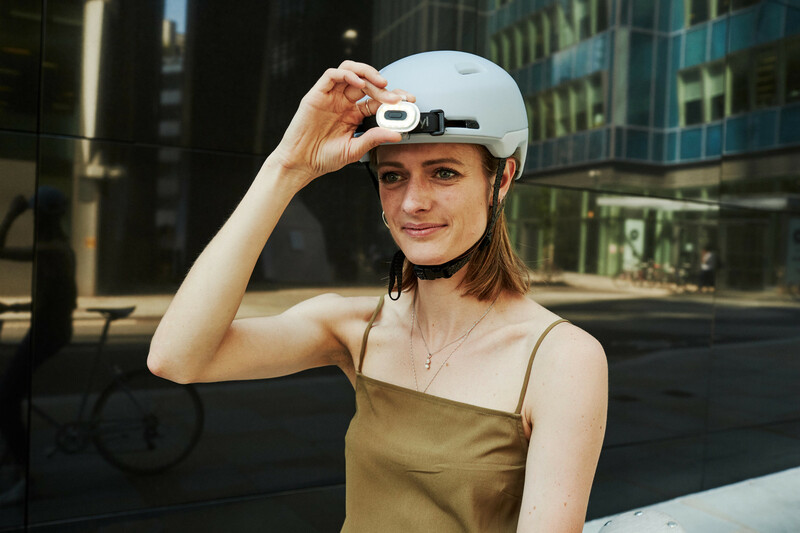 These lights will also make you visible to other road users, but the powerful light often comes with a compromise: they can be bigger and bulkier with shorter battery life. A poorly designed or poorly aimed/mounted light can also be so bright that it dazzles other road users. So it’s really important to make sure your lights are set up correctly to give you maximum visibility of the road ahead while not creating a danger to other road users. The purpose of “Be seen” lights is to make you visible to other road users. 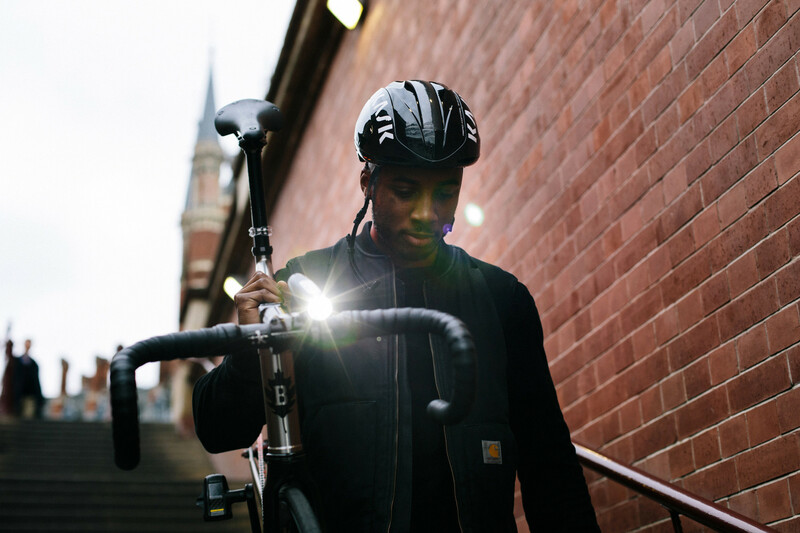 If you’re riding in the city, you’ll be able to see where you are from street lighting - so your lights’ primary function is to make sure others see you. It’s important that your lights let you be seen from the front and behind. You should ride with a white light on the front and a red light on the rear. Side visibility is also important on your bike. In an urban setting vehicles are coming from all different directions and you need to be seen side on at junctions. It’s possible to buy side lights for your bike that clip to your frame. You can also find lights that attach to your wheel and light up as the tires turn. However, good front and rear lights will also offer visibility from the side. Look for 180 degree visibility on the packaging. For example, our Rear Burner has 180 degree visibility so you can be seen from the side. A flashing light on your bike is an increasingly popular option for “Be seen” lights. Different lights have different flashing patterns, but all work because the flash attracts the eye of other road users and makes you easier to spot. You can use a flashing light daytime or nighttime. As there is some research that shows that a flashing light makes it more difficult for drivers to judge how far you are away, at nighttime it’s a good idea to combine a steady light with a secondary flashing light, for example on your bag or helmet. Remember to check the legality of flashing lights in your country or territory - they aren’t allowed everywhere. A laser bike light uses a laser to project an image onto the road. 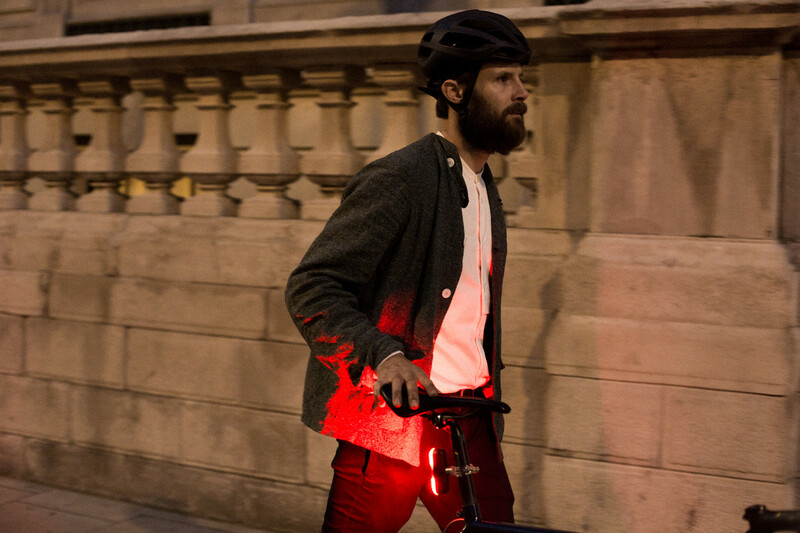 The Beryl Laserlight is the original bike light with laser projection. 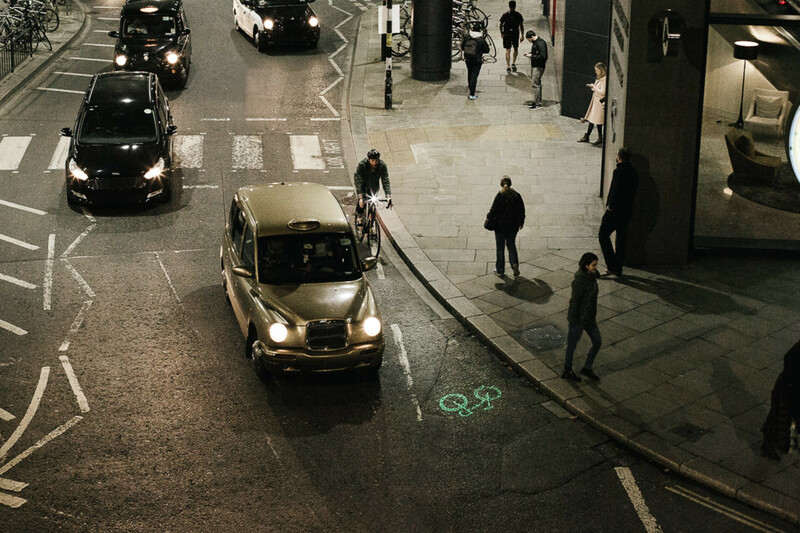 The light combines a white front light and a green laser projection of a bike on the road ahead of the cyclist to shine out of the blind spot and give cyclists a bigger footprint on the road. Our new version, the Laserlight Core, combines the green laser projection with a flashing or solid white LED. A helmet light is a small, lightweight light such as the Beryl Pixel which clips to the front, top or back of your helmet. These lights provide a secondary point of visibility closer to a driver’s eye level and also help road users distinguish your head movements. You should always use a helmet light in addition to the main lights attached to your bike, and not as the only light you have. ↑ The Pixel fits neatly on the front or back of your helmet. Most people know that they need bike lights at night when it’s dark, but did you know that using a light during the day can also improve your visibility? A light with Day flash mode, such as the Laserlight Core, uses a very bright flash to catch the eye of drivers who might have missed you. A day flash mode is brighter than flashing mode designed for nighttime use, since the contrast needs to be greater to be effective. The flashing pattern is also different - instead of a HIGH-LOW-HIGH sequence, the light uses ON-OFF-ON. Got more questions on bike lights? Check out our guide to frequently asked questions and make sure you are lit up properly. Squeezing exercise into your busy routine can be a challenge. Combining a run with your commute to work let's you see your city in a different light and gain the benefits of a more active lifestyle.